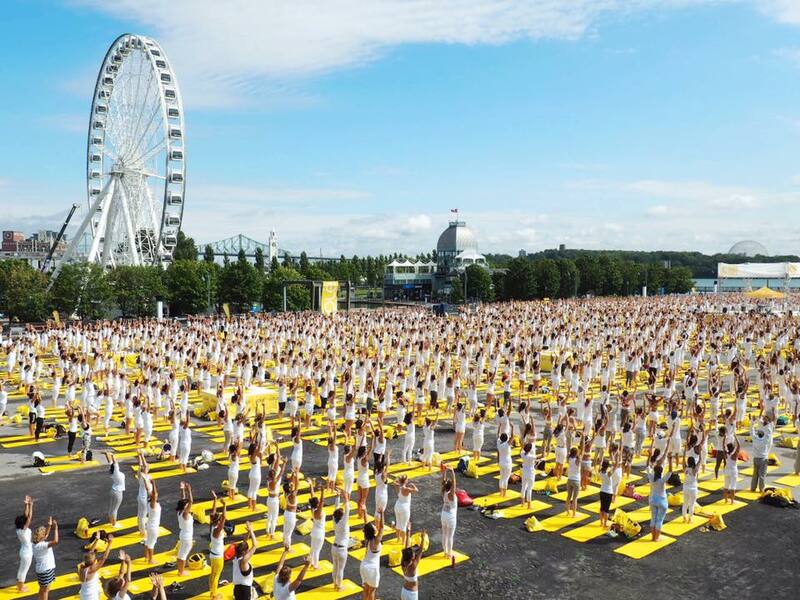 The great yoga gathering, the Lolë White Tour, is returning to the Old Port of Montreal, much to the delight of Montreal’s yogis. Save the date – August 18th! Dock your BIXI or ride off on one near Quai Jacques-Cartier at the station on the intersection between Commune / place Jacques-Cartier. At the event, you can pick up your BIXI coupon (for two one-way trips for the price of one!) in the gift bags handed out to participants. • Get your day off to a good start with a dance and yoga session with Nadia Bonenfant from Juna yoga, accompanied by Selena “DJ Seriousblack” Isles! • Matt Holubowski’s sweet and dulcet tones will accompany the main yoga and meditation session, led by Sylvie Tremblay and Adam Mahmoud from 10 a.m. to 11:50 a.m.
• Don’t miss Fanny Gingras’s workshop/conference at 8:45 a.m.: Living according to the C.A.R.E. approach. • Try out Unda Yoga, a board that reproduces the effects of SUP Yoga and surfing on dry land! This session will be led by Marie-Ève Bertrand from Pop Spirit from 1 p.m. to 2 p.m.
All dressed in white, we will come together to pay tribute to peace! Let’s pedal hard and practise yoga together!